How to register: You can register for the MMM19 program online through our quick and easy registration process. During the registration, we will collect information about you and your company or organization, which will help us prepare a better program for our participants. The comprehensive tuition fee is USD1,800. The fee covers tuition, materials, daily conference fees, all lunches and teas, and all evening programs, the optional post-training tour, as well as airport transfers from Cape Town airport (if applicable). Housing and transportation are not included. Organizations registering a group of participants may be eligible for a discounted tuition rates; please contact us to inquire about this option. If you are registering from South Africa, you can pay in South African rands (ZAR). Please contact us for the up-to-date fees in rands. The program will take place at the Lord Charles Hotel, where rooms are available at a special, negotiated rate of ZAR1,405 per night (single rate, breakfast included). 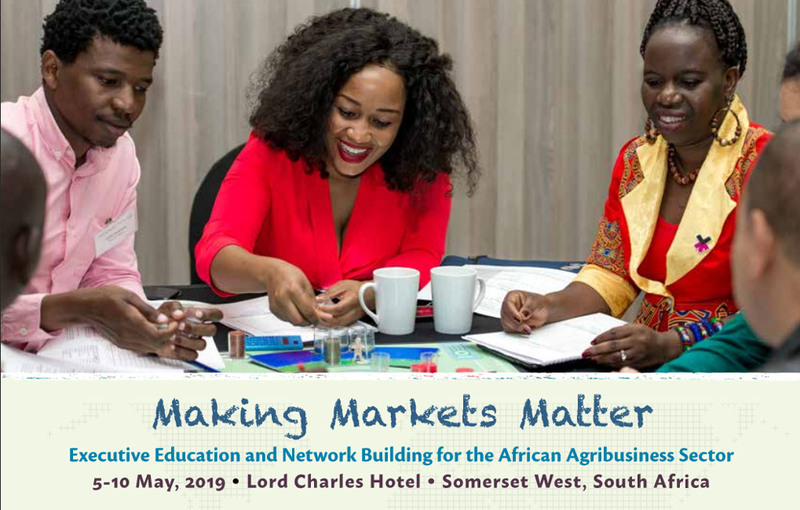 Please contact the hotel to make your reservation, and be sure to mention the "Making Markets Matter" program to reserve at the special rate.